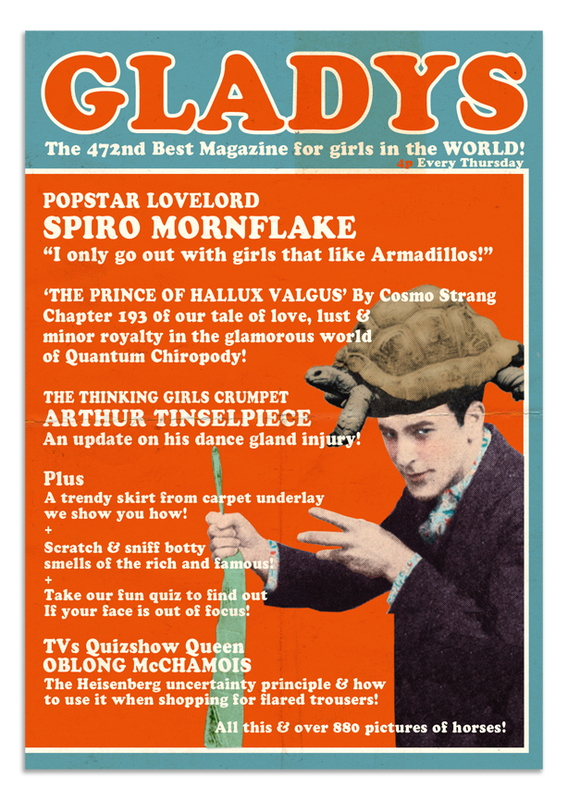 ‘Gladys’ - the 472 best girls magazine in the WORLD! Extending the ‘Pop Chart’ & ‘Poster’ ranges further ‘Gladys’ - the 472 best girls magazine in the world! - affectionately parodies girls magazines from the 1960s and 70s complete with ludicrously named pop stars, silly ‘how to’ features, and romantic episodic stories; it also seems to have an unusual degree of interest in Quantum mechanics!